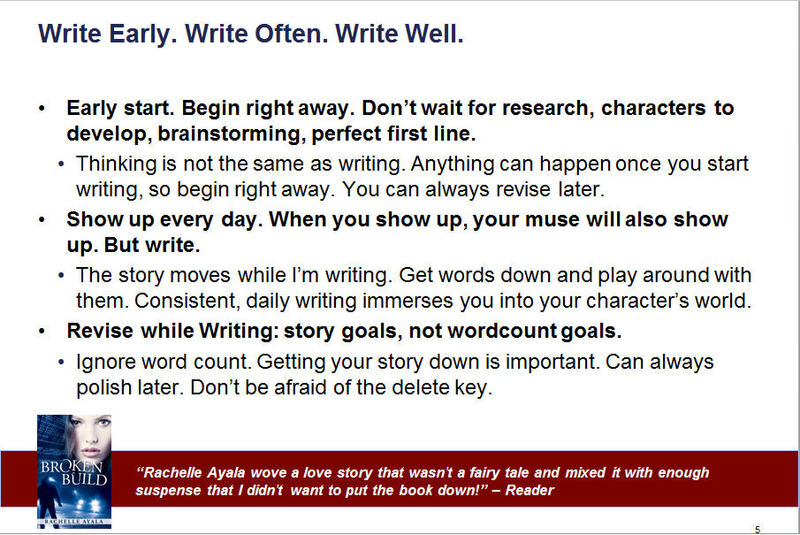 Hey fellow writers, last Saturday, I presented my writing tips to the Florida Writers Association for the “Maximizing Your Writing Productivity” Webinar Seminar Series. I’ve been self-publishing since 2012 and went from writing and publishing two books a year to more than ten a year, so I was asked to share my writing process and tips on how I increased my writing output while winning awards and bestselling status on my published stories, winning 2015 Readers’ Favorite Gold for A Father for Christmas in Christian Romance, 2015 Angie Ovation Award for best Multicultural Romance for Knowing Vera, and achieving Amazon Author Rank #29 in Genre Fiction with Christmas Lovebirds, with an overall sales rank of #51 in the entire Amazon store with the Christmas Pets and Kisses launch. The big change for my happened in 2014, when I was invited to join an author group to write a hot, contemporary romance with Filipino characters. Taming Romeo was the result. I wrote and published a full-length novel in 25 days. I had an epiphany on how writing along with other writers and posting my results at the end of the day made me more productive, so I formed my own group of writers, Romance In A Month. 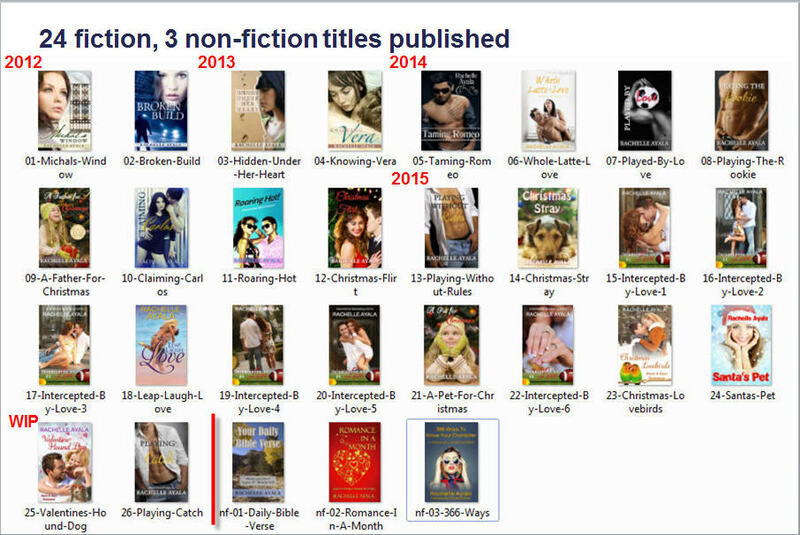 I taught the basics of how to write a romance through a series of slides [which is now in the Romance In A Month textbook, the one with the red cover], and the explosion in productivity happened, to me and 20 other writers who have finished about 100 books since May 2014. I actually don’t know in detail what these moments are. I just know I have to have something like them and at certain intervals. This keeps me from wandering off into the woods, or at least gives me a direction on where to wander. I also structure my story around two flawed characters, what they most need, want, and are trying to achieve, and then give them conflict and opposition. 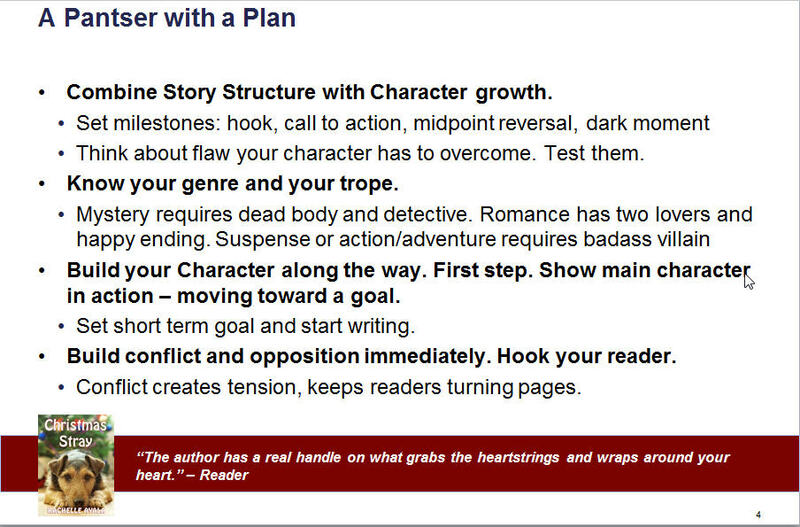 If you’re writing another genre, take a moment to think about what the structural milestones are for your genre and jot some ideas before getting started. You don’t necessarily have to know each turning point, but just knowing you have one will keep your writing tight and focused without too much meandering. Next is my writing process. I generally start as soon as I have an idea of who my characters are and what they are about. I don’t spend a lot of time researching BEFORE I start, although I will do research while I’m writing. I get started. I try to show up every day so my story moves, and I don’t set word count goals. Story goes, yes, but not word count. The members of my Romance In A Month group find word count posting demotivating, so instead of word count, we post at the end of the day what happened in our stories. Here is the post describing our results after the first class May 2014. Thanks, Rachelle. I can attest to your methods! 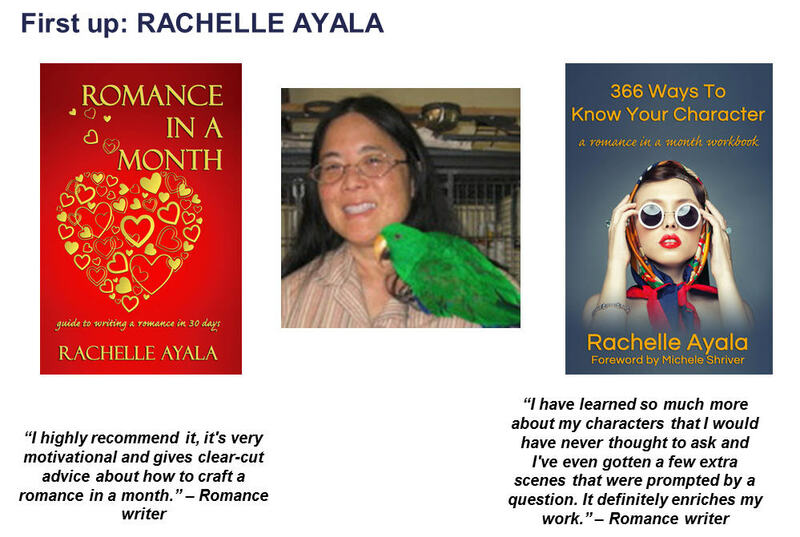 I’ve written five romances since attending your first class in May 2014. I’m indebted to you for sharing and guiding me.